Instead of feeling overwhelmed by concerns for your daughter, enjoy the peace that comes when you pray targeted prayers for her straight from the Bible. No matter your girl's age, pray confidently about struggles she may be facing now and in the years to come. 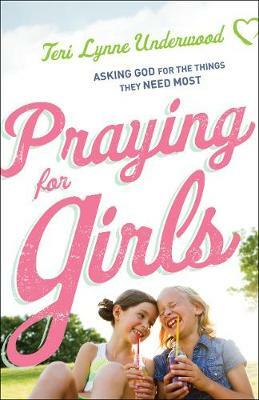 Covering five vital areas of a girl's life--her identity, heart, mind, relationships, and purpose--this easy-to-use book is ideal for anyone who feels intimidated or uncertain about what to pray for the girl they love. Rounding out the book are conversation starters and fun activities to help you guide your daughter into becoming a godly woman.